On February 23rd, New York Women in Film & Television presented award-winning sound designer Paul Michael’s “How to Get the Best Production Sound for your Film.” Paul has sound edited, designed, and mixed countless feature films and television shows; is an audio restoration specialist; and has been nominated for multiple Motion Picture Academy and Emmy Awards. According to Paul, the two biggest mistakes in sound design are: (1) mismatched ambient noise and (2) clothing rustle. I followed up with Paul to learn more. How would you define “mismatched ambient noise?” What causes it? This lack of consistency of background (ambience) sounds from shot to shot is the most prevalent problem that occurs on many low budget indie films. The result of this “mismatch” is a soundtrack that has a bumpy mix that breaks the mood of the scene and makes the viewer aware of every picture edit. The best mixes are the ones you don’t notice because in most cases (other than horror or science fiction), the sound is the supportive glue that makes the picture edits seamless and contiguous. Poor ambience matching will unfortunately have the effect of lowering the overall production value of your film and distract your viewing audience. How can we avoid mismatched ambient noise? If you are working in a controlled environment (indoor set for example), it is fairly easy to keep the ambience even. Always try and calm down your shooting environment. Bring sound blankets (or moving blankets) and hang them on the walls that are off-camera. The more walls you have deadened, the better. You will have less echo and reverberance, which is always good. However, you can’t always avoid changing ambience when you are on location. Planes, cars, trucks and generators can make maintaining a contiguous ambience almost impossible. So, if you are shooting in an unstable environment (outdoors for example), it is important to be aware of any momentary unusual sounds that appear during a take. The sound person must bring this issue to the director’s attention after the take or before the take if it is already happening. For example, if a jet plane flies by and you are shooting a period piece that takes place in the 1800’s, do the take over unless you have the time and budget for ADR (automated dialogue replacement). The key to making the post-production process go quicker is to give the sound editor room tone. Room tone is used to smooth out poor dialogue edits and as a sound mask to blend shifts in ambience. Always record 30 seconds of room tone for each scene. Have everyone stay on set and be dead quiet for the 30 seconds. It sounds easy but very few indies do it. What is “clothing rustle?” What causes it? Clothing rustle is caused by body mics (lavs) being placed incorrectly. When the talent moves, his or her clothing will brush up against the microphone, rendering the audio very difficult to use. How can we avoid clothing rustle? The best advice I can give is to use a qualified professional sound mixer who is experienced in working with lavs. I recommend watching YouTube how-to-lav videos to see different techniques. Also, do a run through of the shot to see if there is any rustle. If there is, adjust the position of the mic. And if we’re handed footage after-the-fact, how can we fix these mistakes? There are many tools (plugins) available for ProTools. They run the gamut of super inexpensive and easy to use to super expensive and extremely difficult to use. Generally, the more complicated the tool is, the more it can do. The first step to try is to edit in a new ambient track for the whole scene. The goal is to use this new ambience to mask all of the ambient shifts in the production audio. This does work pretty well for simple sound problems. The more difficult stuff (beeping, hums, buzzes, motors, planes, cars, trucks, etc.) will require an experienced sound editor who specializes in sound restoration. Remember, you can always ADR the problematic sections—but if you do ADR, that’s when the room tone you recorded on set will be critical to a successful mix. Clothing rustle in particular will greatly prolong the postproduction process by forcing the sound editor to spend a lot of time trying to remove the rustle and hopefully salvage the production audio. In many cases the sound cannot be restored, which forces the producers to make the decision to either live with it or replace the audio with ADR. Here, ADR can be very expensive (think 10 lines per hour of recording) and is completely dependent upon the talents’ availability. 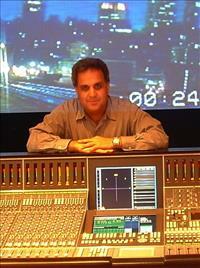 Paul Michael has sound edited, designed, and mixed countless feature films and television shows. In addition to being nominated for multiple Motion Picture Academy and Emmy Awards, Michael was honored with a TEC Award for his assistance in the development of the NoNoise™ restoration software. He has also created a workflow that targets low budget and independent films—a hybrid approach that optimizes a project’s cost effectiveness. More about Paul at http://www.nycpostgroup.com. NYWIFT produces over 50 professional development programs like this one every year. See what’s coming up in the events calendar. Making make believe is difficult and costly. So heading home to Asbury Park, where encouragement and support is offered freely, was the right choice for Jersey girl (and NYWIFT member) Christina Eliopoulos. She tells us about free hot dogs, meddling neighbors and why mothers make the best publicists.